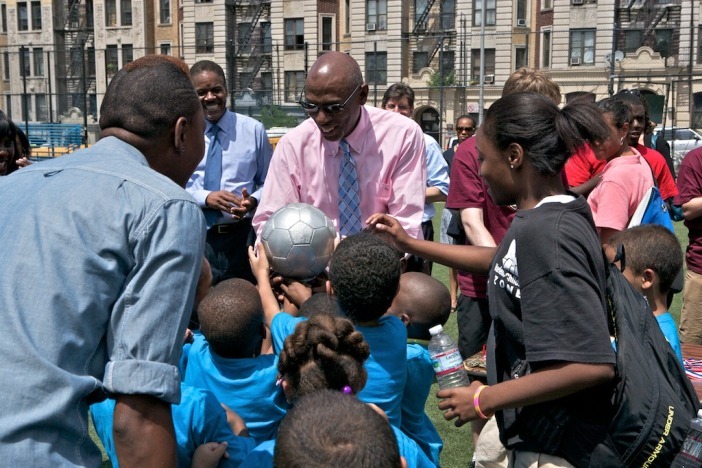 FC Harlem hosted the 1st Annual Harlem Children’s Zone World Cup. 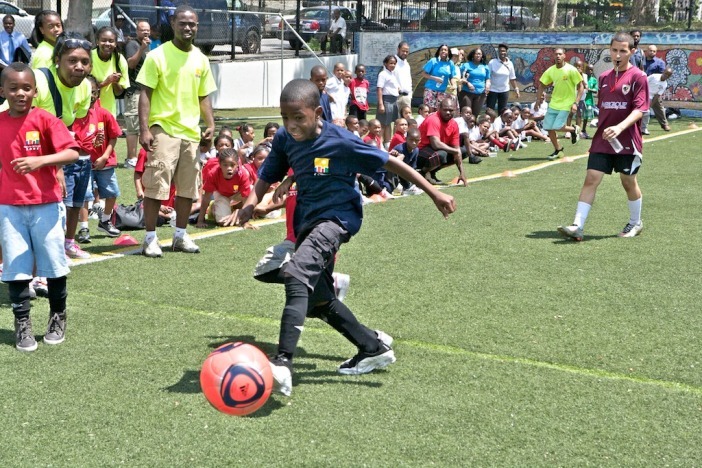 The event brought together over 600 youth ages 5- 11 from Harlem Children’s Zone schools for a two day soccer tournament. FC Harlem’s u17 ,u20 and alumni travel team players served as volunteers for the event acting as referees, coaches and score keepers. 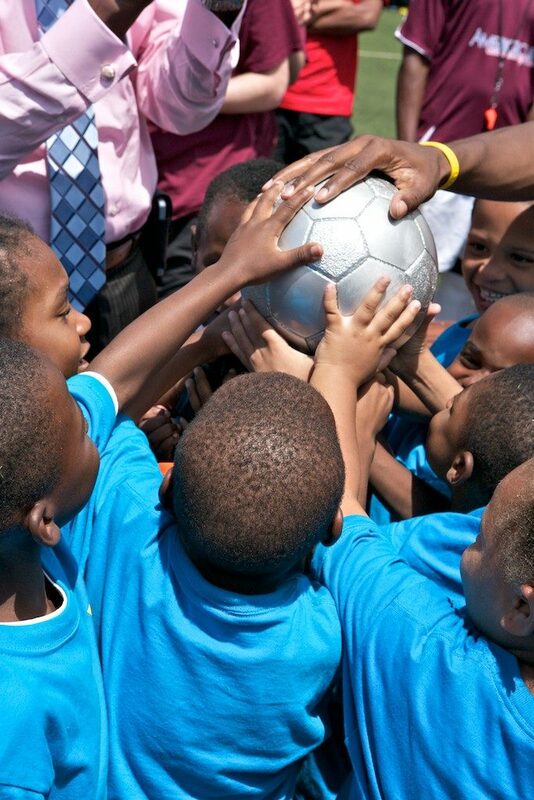 The event introduced soccer to many of the kids for the first time. 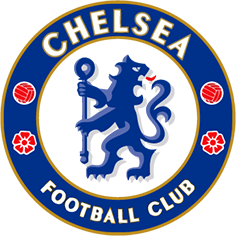 CEO of Harlem Children’s Zone Geoffery Canada attended the championship games for each age group and awarded the winning teams trophies. 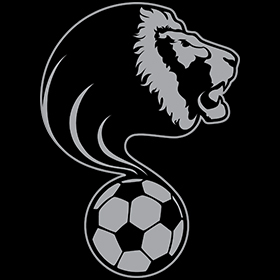 FC HARLEM and HCZ have deepened their relationship by providing after school soccer to HCZ including their kids in FC Harlem soccer programs.